Setting page margins are very important when creating a document, if you want to put it in a folder or create a book bind, setting a proper margin before creating and printing a document is the first thing you should consider. 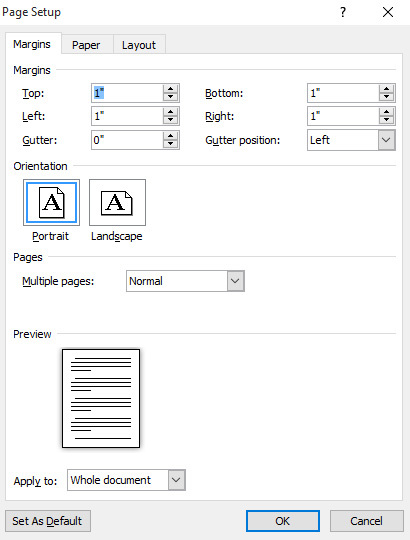 We will discuss in this article how to set page margins in your document, follow the procedure below. 1. 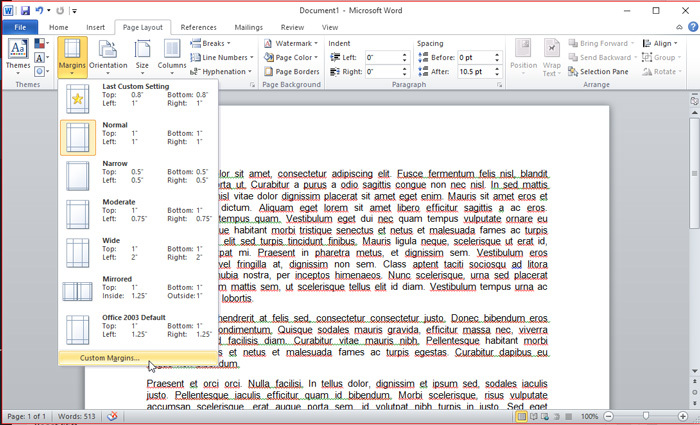 To set page margins go to “Page Layout” and select “Margins” in the Page Setup group. 2. 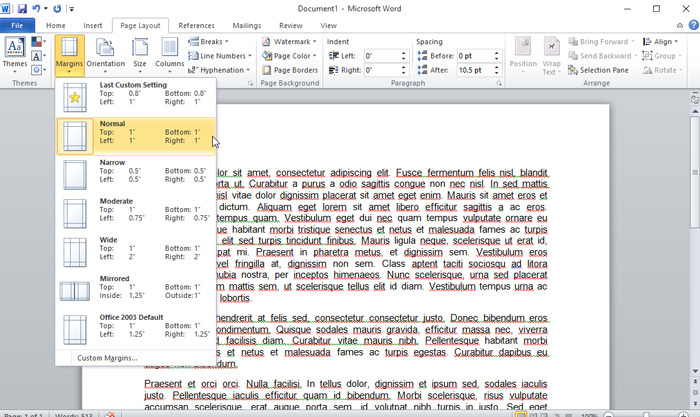 Clicking the Margins control icon, will reveal the drop down menu where you can select different preset margins. When setting margins keep in mind where you put your clip if you’re planning to compile. 3. To set your desired margins, select the “Custom Margins” link at the bottom of the drop down menu. 4. The page setup pop up window that appears, on the Margins tab you can enter the margin of your document, from top, bottom, left and right, click Ok to Apply.